Last night I watched the hour long BBC1 documentary called ‘Tutankhamun : The Truth Uncovered’. It set out to present clues as to why the most famous Egyptian Pharaoh of them all died so young. The theory of murder due to a blow to the head was debunked. Actually, it was debunked years ago … the bone fragments shown by X-ray to be floating in the back of the boy king’s skull were proved to have been displaced post mortem and also after the embalming process. The programme showed us a ‘virtual autopsy’ using more that 2,000 CT scans of Tutankhamun’s mummified body. This remarkable technology has enabled scientists to reveal the first ever full-sized, scientifically accurate computer generated image of the young king. Sadly, it is a far cry from the hauntingly beautiful and perfect image we are more used to from the glorious death mask and much of the other artwork and statuary surviving of Tut from antiquity. It reveals the club foot, which explains once and for all why so many walking canes – over 120 of them – were found by Howard Carter when he entered Tutankhamun’s tomb. I can’t help but wonder if seeing ‘the truth uncovered’ might actually be a little less than Tutankhamun deserves. We come face to face with a teenager who might now unkindly, but no doubt accurately, be referred to as a cripple. I’m sure he’d have preferred the images of himself riding his chariot, full of youthful vigour to be the ones to survive him down the centuries. And with mention of the chariot (there were six of them found dis-assembled in Tutankhamun’s tomb) we come to the next popular theory explaining his early death. The CT scan reveals the fracture above his knee, which experts believe to have killed him. A long-held theory is that the fracture was caused by a fall from his chariot whilst out hunting, or perhaps even in battle. (Or maybe he was pushed?). But last night’s documentary suggests it would have been almost impossible for the young king to ride at any speed in a one-man chariot. Or indeed ride a chariot at all. The club foot and bone wasting disease shown also to be affecting his left foot would, we are told, have made it excruciatingly painful to ride. And so, another explanation has to be found. It is not slow in coming. Epilepsy. This condition, we are told, may also account for the ‘visions’ experienced by Tutankhamun’s predecessors. His great-grandfather, Thutmosis IV, recorded in the famous ‘dream stele’ (still situated between the paws of the Sphinx) the vision in which the Sphinx spoke to him and told him if Thutmosis cleared the sand from around the Sphinx’s body, he would be crowned king. And, Akhenaten, the controversial pharaoh who preceded Tutankhamun was apparently given to religious visions, which led him to elevate the sun disc, the Aten, as the sole god from the Egyptian Pantheon. They also led him to build a new city, modern Amarna, on virgin soil in middle Egypt. And now, with the mention of Akhenaten, we come to the part where I take issue with last night’s documentary. DNA testing has enabled scientists and Egyptologists to build Tutankhamun’s family tree. This has established that the body found in tomb KV55 is Tut’s father, and the ‘younger lady’ found in the cache hidden inside Amenhotep II’s tomb is Tut’s mother. More astonishing, Tutankhamun is shown to be the product of an incestuous full-brother-and-sister relationship. This much, I believe, is irrefutable. It seems to me tragic that in their attempts to keep the royal bloodline pure, the pharaohs of the late 18th dynasty actually inbred its genetic downfall. BUT, the documentary makes one big and, to my way of looking at it, unsupportable assumption … That the KV55 mummy is Akhenaten. Ergo Akhenaten is Tutankhamun’s father. This is presented as FACT, with no questions asked. This does the viewing public a huge disservice. While Akhenaten is unquestionably one candidate as the KV55 mummy, he is not the only one. Many scholars believe the skeleton to be that of Akhenaten’s younger brother, an ephemeral character on the pharaonic stage. His name was Smenkhkare. Nobody has ever been able to prove the identity of the KV55 mummy for sure. So, for the BBC to overlook this and present Akhenaten as the sole candidate seems to me to be misleading and negligent. We know Akhenaten was famously married to Nefertiti. They very publicly had six daughters. Images of the whole family are plastered all over Amarna. 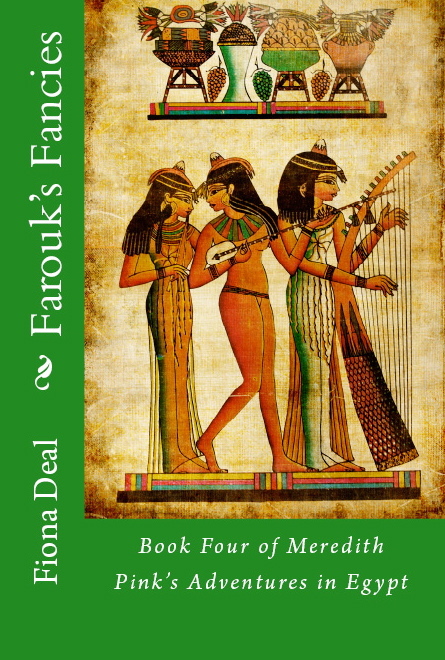 Nobody has yet gone so far as to suggest the ‘younger lady’ is Nefertiti, or that she was Akhenaten’s full sister. So, we must suppose that Akhenaten had an incestuous relationship with one of his full sisters, who bore Tutankhamun. Under the royal protocol of the time, she would have had to be one of his wives, possibly even his Great Royal Wife. For this to have completely escaped the historical record seems to me extremely unlikely. Yet, if his younger brother Smenkhkare were to have had an incestuous marriage with one of their sisters, with Tutankhamun as the result, it seems perfectly possible for no record of it to have survived. I personally believe Smenkhkare is the KV55 mummy. Other scholars agree. One other piece of evidence supports this theory. On last night’s documentary, Tutankhamun was repeatedly described as Akhenaten’s successor. He wasn’t. At least, not at first. The historical record shows quite clearly that Smenkhkare came to the throne on Akhenaten’s death. Incidentally, Smenkhkare married Akhenaten & Nefertiti’s eldest daughter, his niece Meritaten, presumably to strengthen his right to rule. She became his Great Royal Wife. Whether his previous sister-wife was still alive at the time is a matter for conjecture. It is not clear how long Smenkhkare ruled. Some experts say a few months, others up to three years. But rule he did. To me, this is more evidence that Tutankhamun was not Akhenaten’s son. There are plenty of other examples of minors coming to the throne, so his age would not have presented a reason for him to be passed over in favour of his ‘uncle’ Smenkhkare if indeed Akhenaten was his father. I think in the absence of a male heir who was his son, the throne passed to Akhenaten’s brother and only then on Smenkhare’s death to his son, Tutankhamun. Frustratingly, none of this can be proved once and for all. We need more discoveries to be made in the historical record, or for modern science to take yet another leap forward. I’m left with the impression of a documentary wanting to re-work old ‘truths’ to find a new angle. I’d have been perfectly happy with this, if only certain assumptions were not presented as fact. Luckily for me, there is one field in which it’s more acceptable to work within what’s known, and make up the rest. I am a fiction writer. The mysteries of ancient Egypt are my chosen subject. So last night’s documentary was of particular interest. I’m pleased to say, it didn’t present anything to make me go back and rewrite any of the content of my books. 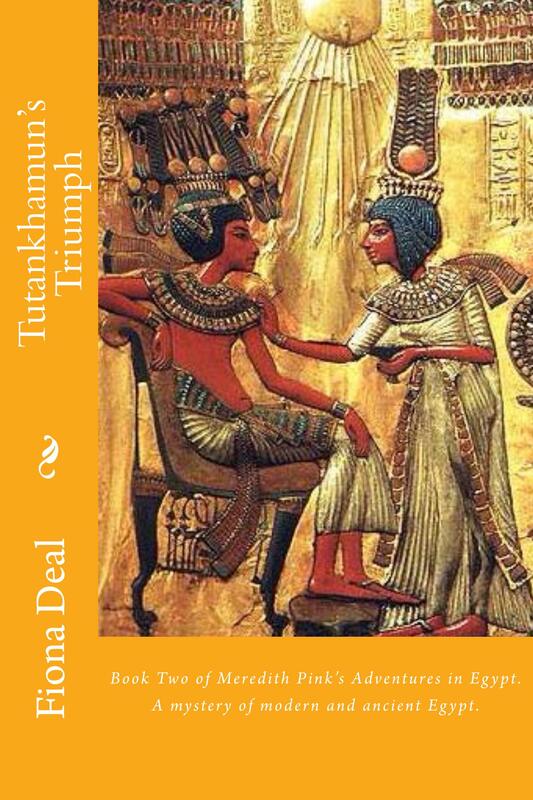 The second book in my series following Meredith Pink’s Adventures in Egypt is Tutankhamun’s Triumph. 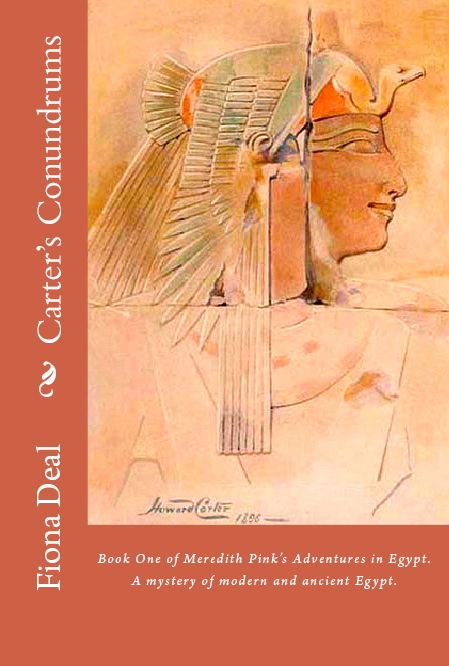 If you’re interested in reading more about Tut’s family tree, you may wish to give it a go. 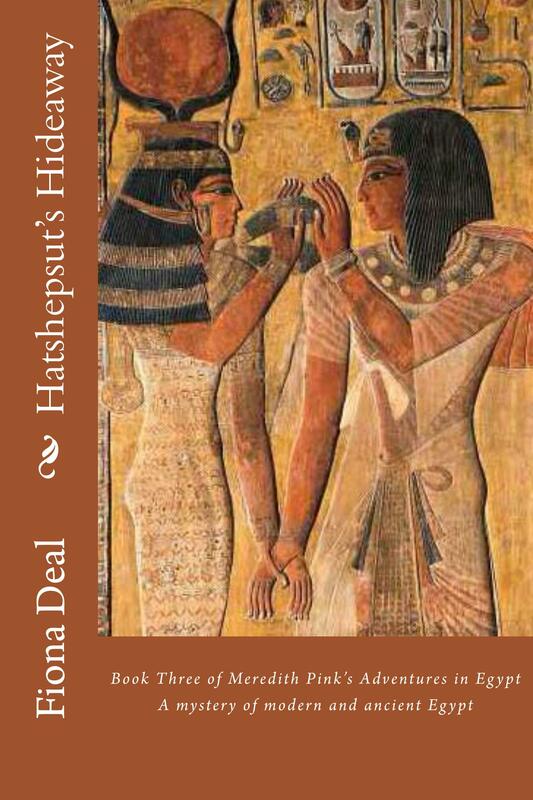 Author of Carter’s Conundrums, Tutankhamun’s Triumph, Hatshepsut’s Hideaway, Farouk’s Fancies and Akhenaten’s Alibi. Available on Amazon.com, Amazon.co.uk, and all other Amazon sites. Posted on October 27, 2014 by Fiona Deal. 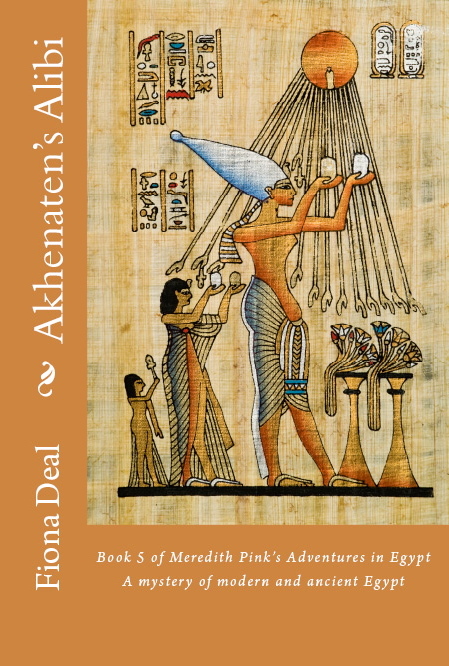 This entry was posted in ancient Egypt, biograpy, Egypt, egyptian fiction, fiction, History, monarchy, Travel, Uncategorized, writing and tagged Akhenaten, ancient Egypt, egypt, Howard Carter, Meredith Pink, smenkhkare, Tutankhamun. Bookmark the permalink.